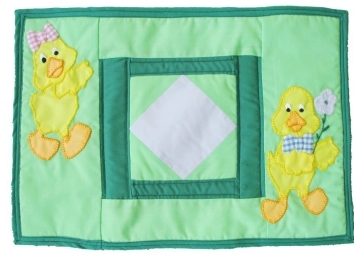 The level of quilting on these placemats is simple, the applique a little more involved. We have worked the applique by turning under the edges of the cut fabric but if you prefer you can use a suitable adhesive product, such as Bondaweb. The edges are bound with bias binding and the wadding is a special thermal product which provides a degree of protection against heat, sufficent for most standard uses of placemats. 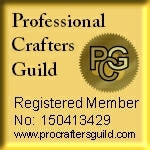 As with all our kits the pattern leaflet includes detailed instructions. Finished size is approximately 16 x 11 inches (40 x 28 cm).